We offer swimming pool water testing at our Concord location, so you won’t run the risk of adding too much, too little or the wrong chemical completely. If you are a chef or have watched a chef in action, you know that adding seasoning to a dish without tasting it first might not come out as expected. The same is true when taking the hit-or-miss method with keeping your swimming pool water properly balanced. Without proper swimming pool water testing, you run the risk of adding too much, too little or the wrong chemical completely. Since the health of your pool equipment and your family can easily ride on having balanced pool water, swimming pool water testing is critical. 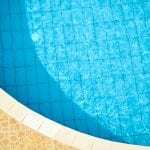 It is also beneficial to work with us because we have the most extensive supply of pool chemicals in the Concord, North Carolina area. Regardless of what your pool needs, we have it. Our swimming pool water testing is just one of a list of pool services that we offer, designed to give you ultimate enjoyment and safety from your swimming pool. If you are new to having a swimming pool or just want to be relieved of the hassle of dealing with it, count on us to help you out. Our dedicated staff knows pools and hot tubs well and how to keep them in the best condition possible. We are always happy to provide you with advice and service as we have done for over a decade. If your pool isn’t looking as clear and inviting as you would like, bring in a sample for swimming pool water testing and let us tell you exactly what it needs. Or call us, and we’ll come out and take care of it for you. Either way, you are getting quality assistance, so you and your family can enjoy swimming instead of worrying. At Cayman Pool & Spa, we offer swimming pool water testing services in Mooresville, Concord, Cornelius, Davidson, Harrisburg, Huntersville, Kannapolis, Statesville, Troutman, and the Lake Norman area of North Carolina.